Lots of sherry, cigar box, tobacco, some sulfur, dark fruit, sweet, soft, intense. A really good sherry box. The whisky itself is amazingly different. And not bad at the same time. However, he needs a lot of time in the glass to exploit his full flavor potential. First, a soy sauce is poured into the face. This sauce floated on delicious chocolate pudding. You should not have taken any rubber dishes for the pudding. But no matter. I smell and smell: sauce, chocolate pudding and gum always changing. Is somehow interesting. But is there anything else coming? 20 minutes later in the glass: peach and cinnamon. Where did they bring that up? Chocolate, shoe polish, bitter oak, later a bit fruity. Alcohol is relatively subdued for the 48%. Medium long, pleasant, moderately bitter finish. N: Tomato-Worcestershire sauce-tamari combo, marzipan, plasticine,....i could go on and on with regards to descriptors but let’s just say it’s very open to suggestion. Somewhat old-style flavour wise with vibrancy. The next day the nose is fully fungal with ginger, soy,…, it’s a proper oriental dish. T: Ok, yeah - that's nice. Stands out clearly from the five other sherried whiskies i’ve tried tonight with deep sherry notes that sit in-between the rubbery Glenrothes and the grainy Glendronach 15 Revival - but yet with a deeper, richer and denser oriental sherry style. C: Yes, I know it's one of god's gifts and everything and it’s very good but of course it’s not perfect. There’s plenty of complexity on the nose and it tastes fab, but the resulting finish is,... a little too much sherry influence - an influence that seems to mask the underlying spirit somewhat. These were merely niggles when this was released at just under £50 and this is a blend of what was left over pretty much, but at the ridiculous prices this bottle fetches now I’d have no qualms in selling unopened bottles - in order to buy more miniatures! n: big sherry nose, with rubber, clay, sulphur and wet leaves, mushrooms. sultanas and prunes but this time they do not play the main role in my opinion. chocolate, leather and cigar boxes. traces of vick vaporub. t: oily mouth feel, lots of rubber within the sherry, chocolate and leather again. dryer than I would have expected. again these mushrooms, this time even more. clay and earth. very special. 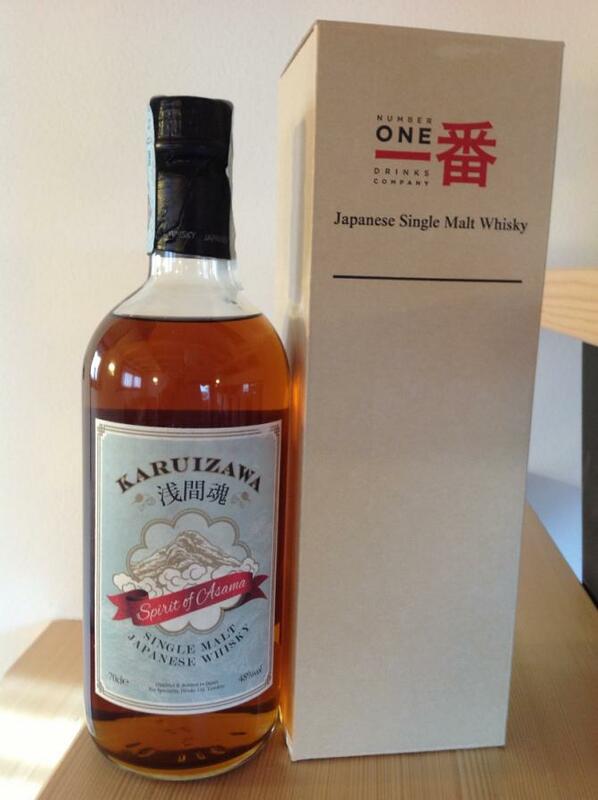 Even though this is one of the 'budget' Karuizawa's (I guess EUR 500 qualifies as budget, when you have to fork over a couple of thousands for an older single cask...), it shows the qualities that made this distillery so famous. Very floral, lots of fruits, especially berries on the nose and in the taste, very long finish. It is not as round as its more expensive brethren, there is a trace of sulfur and more oak. But the oak is something I usually do not mind. 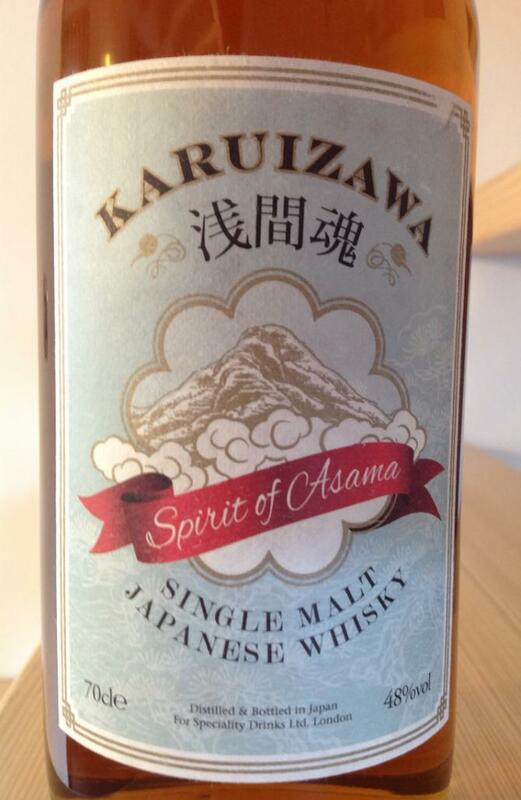 It is matured in 12 year old sherry casks, and even though it is very apparent that it is a sherried whisky, it has so many other dimensions that in my opinion only Karuizawa's have. So is it justified that the price has increased from under EUR 100 a few years ago to around EUR 500 now? 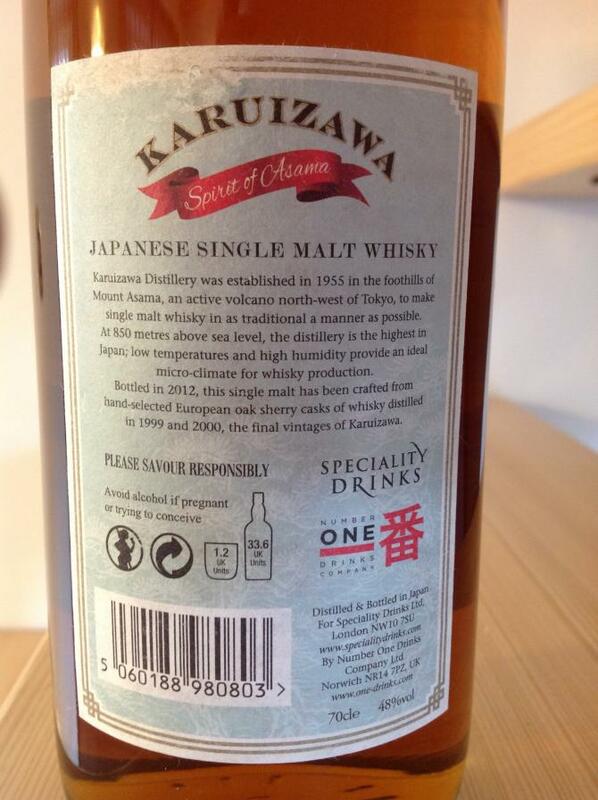 It depends... if you ask me, yes, as this seems one of the few 'drinkable' Karuizawa's. Unless you don't mind opening a bottle of a few grand. This bottle could still buy 2 years ago for 72 euros. 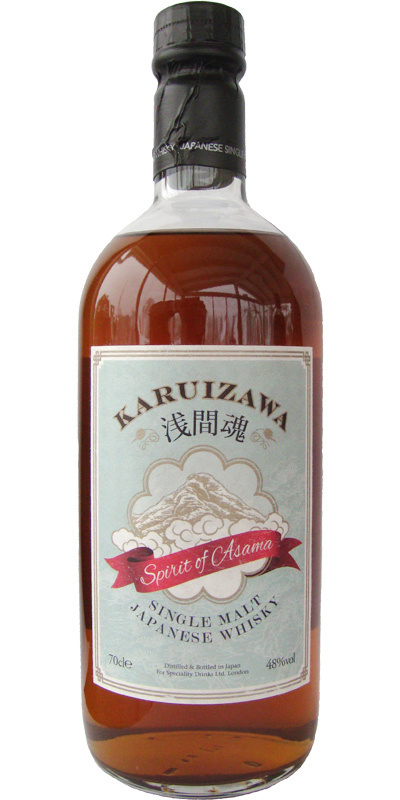 Despite the fact that with this the sherry would taste less than with other Karuizawa's it is still too much sherry for me. Not really my thing.